Please email ConTintaDonations@gmail.com for complete information to make a donation by sending a check via snail mail. Posted by Xánath Caraza at 12:00 AM 1 comments. Click here to leave a comment. Merry Christmas, Feliz Navidad, to one and all from your pals at La Bloga. (Do I get time and a half for this?) Hope you haven't eaten too many tamales and that the mistletoe has served you well. In the spirit of the season, here are a few videos that I hope preserve that warm and fuzzy holiday feeling you might have felt after the extra glass of eggnog or maybe the last dozen or so of biscochitos, empanadas, conchas, etc., etc. First, a sentimental oldie but goodie from the maestro, Lalo Guerrero. 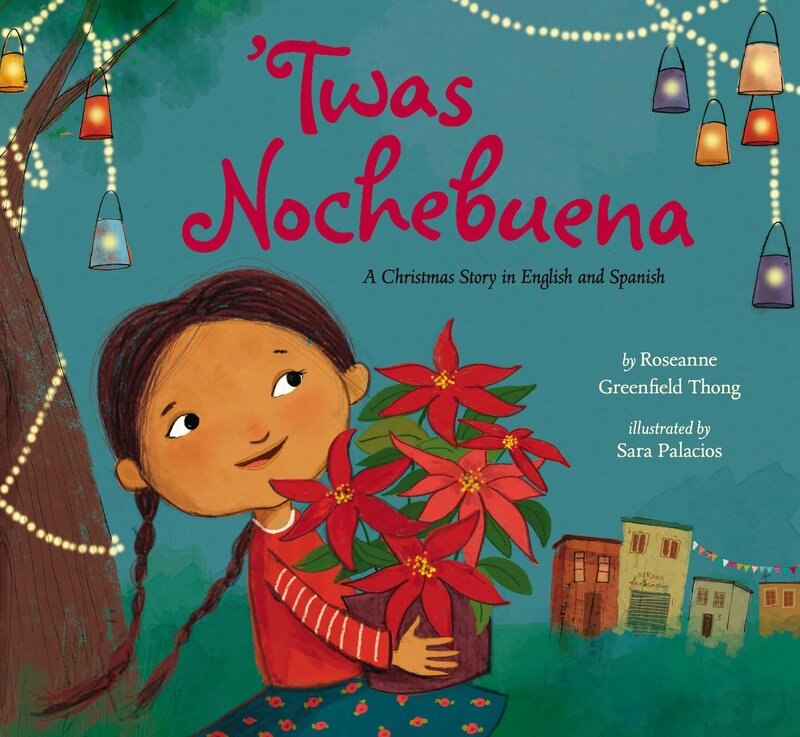 How about a moving tale from two guys who somehow understand the true meaning of Christmas? We all have a valley somewhere in our history. Here in Colorado many of us relate to the Valle de San Luis, down in Texas it's the Rio Grande Valley, over in California they got Death Valley and San Fernando. It's all good. 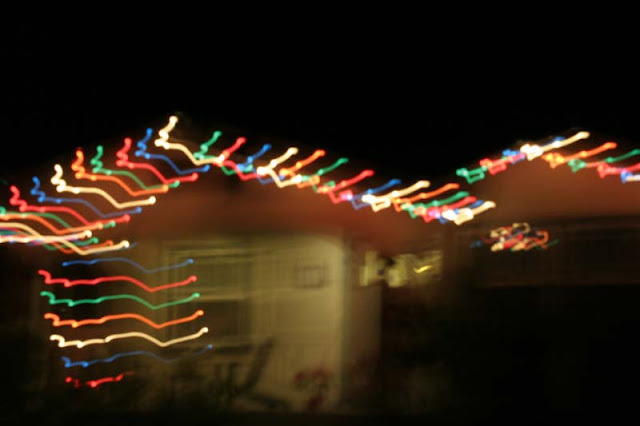 Check out Freddy Fender waxing nostalgic about Christmas in the valley. To end the musical interlude, a classic performed by an immense talent, Lila Downs. If this doesn't cheer you up, well, there's no hope (literally). Happy New Year! Don't be a stranger in 2016. La Bloga will be here, taking care of business. See you soon. This year I've got the Bob Cratchit shift here at La Bloga – Christmas Eve. I could just wish you all some merriness, but with all the hysteria and political turmoil sweeping over the planet, guaranteeing that the coming election year will be one of the weirdest ever, I feel the need to say a few things. 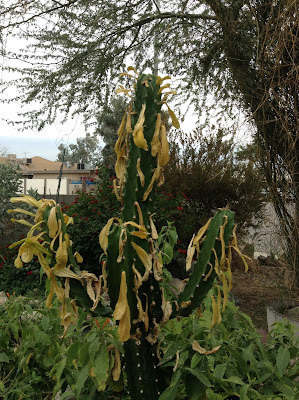 Here in my surrounding neighborhoods (I could say “barrios,” but we also have a lot of back people, some women wear colorful hajibs, and the remaining caucasians are getting nervous) in the Wild West of the Metro Phoenix Area, the shrines to the Virgin of Guadalupe have been touched up and festooned with Christmas lights since December 12, Guadalupe Day. 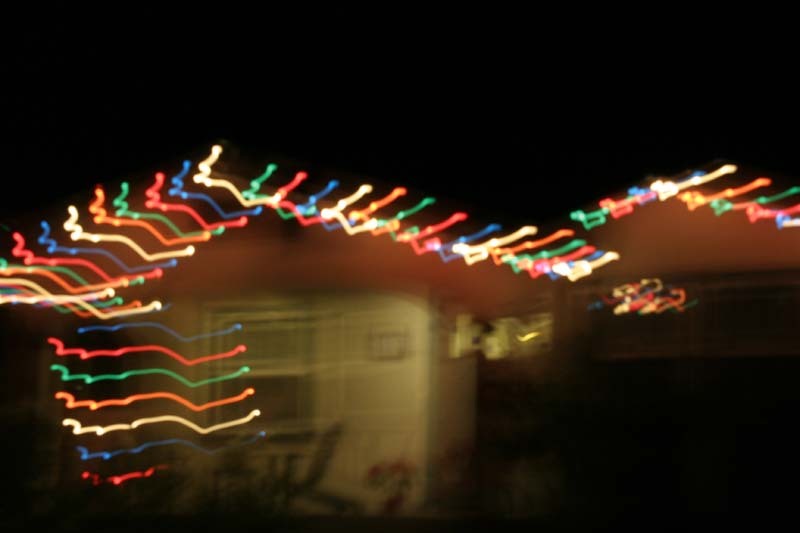 The Christmas lights are thick this year. I think I can see Coatlicue shining through. Pagan traditions and symbols from Europe and colder climes dominate even down here in Center and Lower Arizona. Plastic snowmen and styrofoam snowflakes gleam in the desert sun, next to the cactus. It's like an alien invasion has forced us to pretend we're living in the world of our conquerors. Our consumer economy runs on a Black Friday/Christmas cycle. 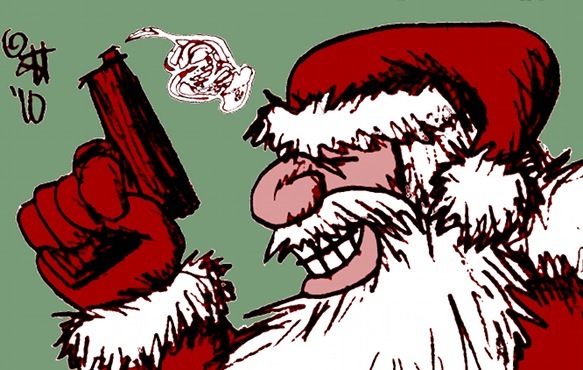 The publishing, and other industries would be casualties of a war on Christmas. Most money for a lot of retail businesses is made during the mad, December rush. Santa Claus, the Wild Man dressed up as a Christian saint so he can hijack Western Civilization, rules. Jesus Christ and his message of universal love does get lost in the shuffle, but then, without the constitutional separation of church and state, America would be a Puritan dystopia. Some Americans would like that, the ones dreaming of living in an anti-terrorist police state with closed borders. You didn't think you could have closed borders without a police state to enforce it, did you? Some people will believe anything. Some Mormons believe that Jesus was Quetzalcoatl on a post-resurrection tour of Las Américas. Then some Aztláni believe that it was Quetzalcoatl who disguised himself as Jesus. Other folks believe that it was Buddha doing the feathered serpent act. 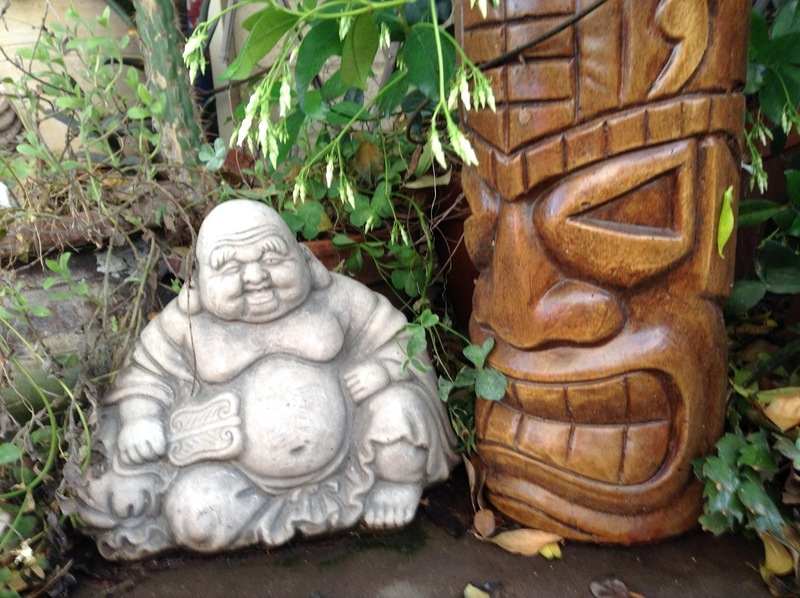 Maybe I should ask the Buddhas hanging out with the tikis, sacred skulls, and reptiles in my backyard. More grist for the recombocultural/rasquache mill, the Chicano thing to do. Meanwhile, be merry, cabrónes! Visit and call your loved ones. Eat some tamales. Soak up some Christmas cheer. May the blessings of Xochipilli alter your consciousness, if needed. The madness will wait until the new year. 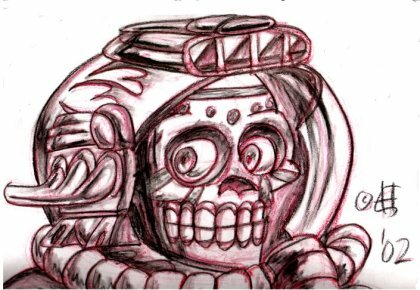 Ernest Hogan is an All-Purpose Heathen Devil guided by the crazy stuff Tezcatlipoca chatters into his ear. He claims to be a writer and artist. 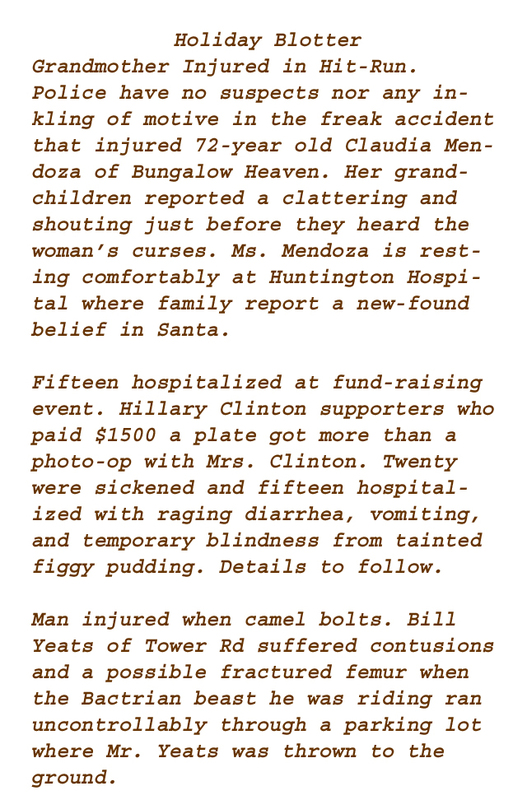 Click Play Arrow to read along to Dear Santa. Seems like only yesterday I wrote you all I want for Christmas is my two front teeth, so I could with you merry chrithmath. And here we are today, several implants and numerous fillings later, but my two front teeth are all mine, so thanks for granting me that small wish. Then there was that bit of trouble, remember? I saw Mommy kissing you underneath the mistletoe that night. How was I to know Daddy was wearing your suit? But I didn't pout, I didn't shout. I was nice. I'm wise to that list you keep and check twice. Coal pollutes so that’s an empty threat. Nothing can top that Red Ryder BB Gun from 4th grade. Thank you, I see fine with one eye. It's not your fault. Besides, it got me out of the draft back in '68, so all in all, that was another good Christmas for me. What did Grandma do that pissed you off that night, coming home from Marty and Ed’s tamalada. And people said there’s no such thing as Santa, and some laugh at Global Warming. But getting run over by reindeer is a hard way to reaffirm one's belief in your existence, Santa. I shall be glad of another sale. Last year I asked for RAM and got Mary's little lamb. I meant computer memory, Santa. So, now that I know you have a low tolerance for ambiguity, I am going to keep this short, sweet, and specific, OK? Second, please bring Bernie some ink. And airtime. My third wish, dear Santa, is same as last year's: Oh please, wise up that pendejo in the White House. War is not Peace. Bring the troops home now. P.S. Those are gluten-free conchas, and the chocolate is made with lactose-free milk. Danny Romero reads poetry at Leland R. Weaver Library in South Gate on December 29, 6:30 p.m.
Danny Romero’s poetry and short fiction have been published in literary journals throughout the country, such as Bilingual Review, Colorado Review, Drumvoices Revue, Paterson Literary Review, Pembroke Magazine, Permafrost and Solo. 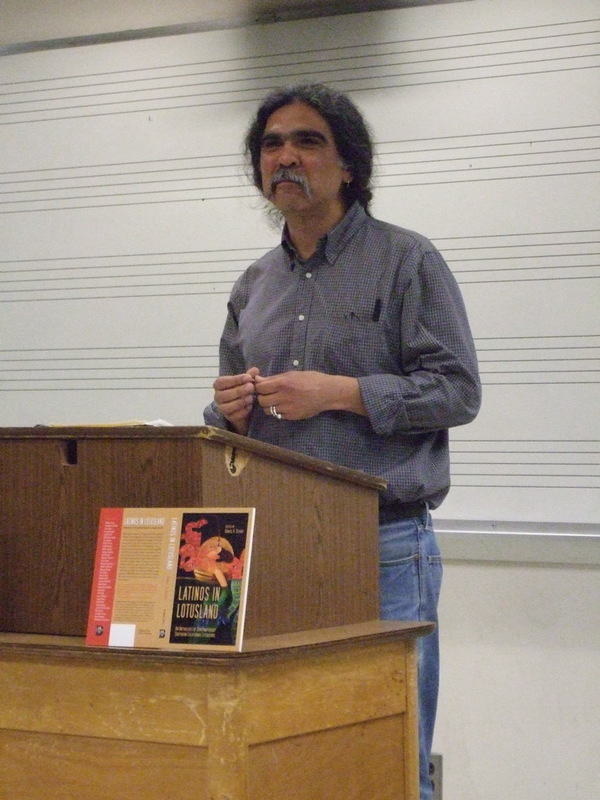 His work can also be found in a number of anthologies, including West of the West: Imagining California (1989), Pieces of the Heart: New Chicano Fiction (1993), Under the Fifth Sun: Latino Literature from California (2003), Latinos in Lotusland: An Anthology of Contemporary Southern California Literature (2008), and Pow Wow: Charting the Faultlines in the American Experience – Short Fiction from Then to Now (2009). He is also the author of the novel, Calle 10 (1996), and two chapbooks of poetry. 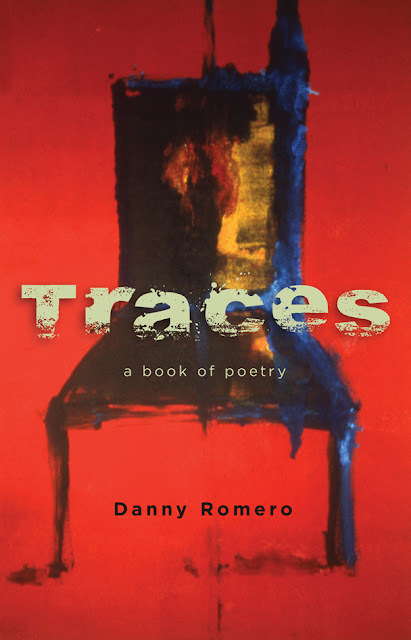 On December 29, 6:30 to 7:30 p.m., Romero will be reading from his poetry collection, Traces (Bilingual Review/Press), at the Leland R. Weaver Library, 4035 Tweedy Blvd., South Gate, CA 90280. This is a free event for teens and adults. For more information, call 323-567-8853 or visit this link. In honor of the reading, La Bloga posed a few questions to the poet. How would you describe your poetry collection Traces? ROMERO: The publisher (Bilingual Review/Press) describes the book best: "These accessible and straightforward poems explore topics that are decidedly not. The poet points to the uncertainty of life, facing the daunting and the delightful with equal honesty, and he touches on a depth of emotion we desperately want to understand. Romero expertly yet lightly reveals that the richest parts of life are often small and fleeting, challenging us to appreciate them." Do you have a favorite poem in the collection? ROMERO: No, I don't have a favorite poem. The collection includes poems written over a fifteen year period. At one point each one of them was my favorite. I do have favorite poems about Los Angeles, including "P/V," "The Natural World," "This Life," "for Elizabeth," "Smoke and Fire" and "This Day." What do you hope readers get from your collection? ROMERO: Ultimately, I hope that readers can find something familiar to them, some truth about their own lives and experiences in the poems. 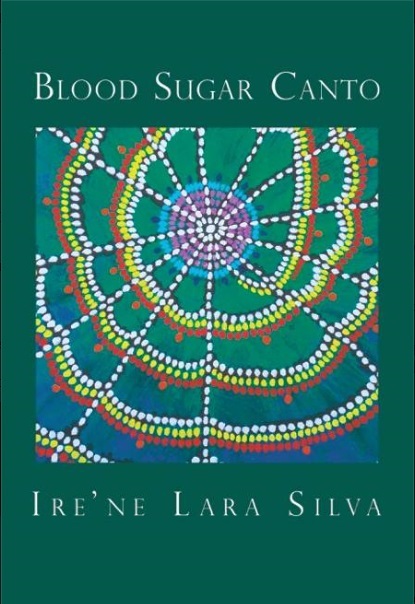 Today on La Bloga, we have writer, ire'ne lara silva talking about her new book of poetry, Blood Sugar Canto. She has received numerous awards for her writing (see below under "Bio") and Blood Sugar Canto is proving to be her best yet. In this new collection of poems, you explore and describe the struggle of balancing the body with diabetes. In my last interview with you (click here to access previous interview), you talked about the writing of Blood Sugar Canto taking six months-- from August 2011 to January 2012. Since 2012, did you make many changes to the manuscript? I made so, so, so very many changes to the manuscript. Although it becomes an exercise in patience and persistence to keep sending a mss out over a period of years, I think it is true that after repeated revisions, you’re going to have a manuscript that you can feel very sure about. I overhauled the mss at the end of 2012, tinkered with poems here and there in 2013, revised the poems that ended up becoming Enduring Azucares in the summer of 2014, and then overhauled the whole mss again in late 2014. That was also when my brother and best editor completely rearranged the order and sections of the mss. The new arrangement took me by surprise, but it also made the book new and exciting to me. It revealed story arcs I hadn’t known I was exploring. The poems when read altogether seem like an ode from the mind to the body—and that’s the struggle—to get the body to mind the head. Disharmony is present throughout. How can the body be in harmony with diabetes and do you feel that harmony within you ever so often? I would say that it’s not so much about the body ‘minding’ the head…as it is to get the mind and the body talking to each other and cooperating. As well as the spirit and the heart. Unfortunately, illness can sometimes be described as the lack of harmony amongst all of them. Daily life then becomes a chaotic cacophony of pain, fear, and crises. It’s an untruth to say that harmony can be easily achieved with a positive attitude or by simply obeying a doctor. Harmony is difficult. It requires attention and practice, compassion and learning and re-learning. It requires patience and self-forgiveness and even some anger. I didn’t want to tell any untruths in the book—harmony is not easy, but that doesn’t mean that it isn’t the most important thing to work towards for the sake of our whole selves. What poetic forms do you use in this collection? And do you stretch or abandon forms within the poems? Maybe give us an example. Most of it is free verse. At one point, I’d intended to include a sonnet, a villanelle, a sestina, some haiku, and a ghazal, but only the sestina and ghazal survived all the editing. And even those two poems, “depression: an interrupted sestina” and “shame: a ghazal in pieces” resisted my attempts to abide by the strict rules of the forms. There was an energy and a rhythm and a language I wanted from the forms, but I couldn’t get at what I meant without exploding them and letting the poem do what it needed to do. In “love song for my organs” (one of my favorites), the narrator seems to be “singing” to the body. Tell me more about this. One day I was researching how the liver functions when it suddenly occurred to me that most people, unless they’re in the medical field, really don’t know what their organs looks like or how they function or how they interact in the body. A lot of people take everything their body does for them for granted. Since I was diagnosed as diabetic, I’ve learned so much about different organs in the body, what they look like, what they do, how they function at various stages of health. Most discussions of illness will use language that is fear- or aggression-based. Either organs are ‘failing’ or we’re ‘battling’ our illness or we need to ‘whip’ our bodies into shape. Health initiatives are never framed in terms of an expression of caring and love for our bodies and our organs. So that was what I wanted to do. I wanted to express gratitude for my organs, for how they cared for me and how they struggled for me. Ill or not, this body is all I really have in this life. Through it, I’ve experienced all the beautiful and meaningful moments of my life. So yes, this poem is a song. Of love and gratitude. Of the desire to care for the body wholeheartedly. Of appreciation for the artistry and the miraculous nature of our ongoing days. There is also a struggle present here between “the body” and the medical profession or pharmaceutical companies. Tell us about these instances and what they mean to you. My main objections to the medical profession and pharmaceutical companies are that 1) they seek to profit from us without any conscience, 2) they use fear to drive us to obey without questioning them, and 3) they want to believe that our bodies are mechanical things that can be fixed the same way by the same medication in every instance. I’ve had horrible experiences with doctors that have left me frustrated, rage-stricken, hopeless, confused, despairing, and on the verge of giving up. I’ve had doctors that wouldn’t listen to anything I said, that shouted “You’re doing to die!”, that continue to press drugs on me that have made me ill or destroyed my joints and muscles. And that’s that I’ve always had reliable access to doctors through the insurance provided by my job. My brother’s experiences, as a person without insurance, make all of my complaints pale by comparison. I’ve spoken to so many people who have had issues with their doctors and their prescribed medications, but they continue on the same path because they’ve been scared and intimidated into thinking that they can’t advocate for themselves or their loved ones. It makes me want to howl with rage because all of us deserve better than this. You begin the book with “you do not listen” and end the book with “there will be singing in the morning.” So you are ending on a positive note? Definitely the book ends on a positive note, but there are positive notes throughout. 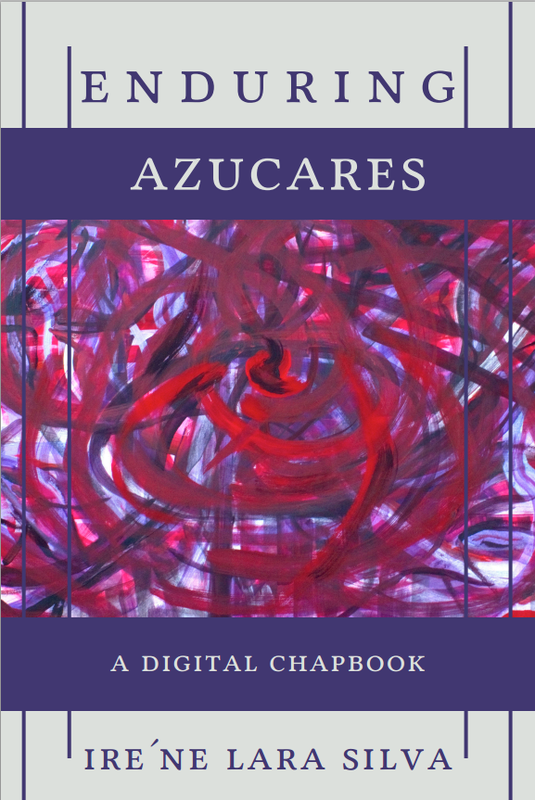 Some of the most difficult poems, even “en trozos/in pieces,” which discusses many difficult things, ends in a positive place. “you do not listen” begins with anger but in the end is also about gratitude. I wanted to share what was difficult and confusing. I wanted to share my stories and my family’s stories. I wanted to talk to my community about diabetes and illness, but also about healing and choice. There are lots of experiences that were not easy to live through, but it would not be honest to leave out what was difficult. Those experiences may be what we most need to talk to each other about. The book itself is intended as an expression of love, as a guide to reach for healing, as a way to begin to heal ourselves of the wounds that left a space for illness as well as the wounds that illness created. That’s why the most important word in the title is “Canto”…because that is where healing lives—in songs. In little songs and long ones, in sad songs and brighter ones. This book is about striving towards harmony—in these poems and with myself. In the dedication to the book, you write: “for everyone with diabetes/and everyone who loves them/may each of you find your own best path.” How can we find “our own best path” when pharmaceutical companies and their doctors over medicate us more often than educating us. Comments? I think we have to start by listening to ourselves and to our own bodies. We have to start by talking to each other and learning from each other in conversation. We have to be willing to be open about our diabetes rather than to hide it. There’s a lot of shame and hopelessness that is keeping us from living the best way we could. And yes, we have to banish our fear, fight and talk and sing ourselves out of fear…. Mil gracias to you, Amelia. You’ve been there for me and this book since it was just a seedling collection of half a dozen poems. When I hardly knew what I was doing, but I knew this was something I had to do. In the years I’ve been working on this manuscript, I’ve shared quite a few poems in various publications and at many readings. I know there are people out there who need these poems as much as I needed to write them. As individuals, as families, and as communities, we need to start talking to each other. If my poems can help spark any of those discussions, then I will give thanks for that and know it was all worth it. furia (poetry, Mouthfeel Press, 2010) which received an Honorable Mention for the 2011 International Latino Book Award and flesh to bone (short stories, (Aunt Lute Books, 2013) which won the 2013 Premio Aztlán, placed 2nd for the 2014 NACCS Tejas Foco Award in Multicultural Fiction. Saddle Road Press will be publishing her second collection of poetry, Blood Sugar Canto, January 2016.
ire'ne is the recipient of the 2014 Alfredo Cisneros del Moral Award, the fiction finalist for AROHO's 2013 Gift of Freedom Award, and the 2008 recipient of the Gloria Anzaldua Milagro Award. 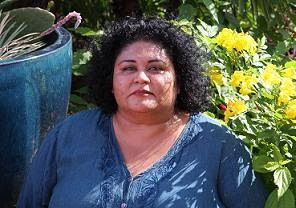 She is also a member of the Macondo Workshops and a CantoMundo Inaugural Fellow. Ire'ne and Moises S. L. Lara are currently co-coordinators for the Flor De Nopal Literary Festival.